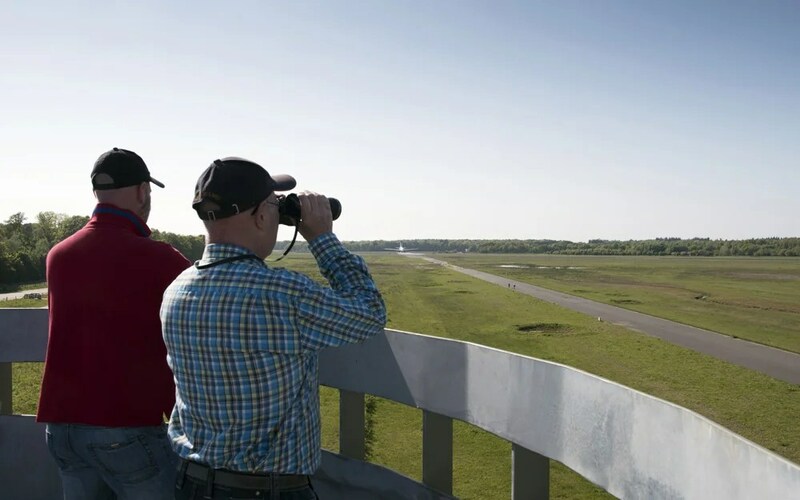 Over the past years, the former military airbase of Twente has been partly transformed into a nature reserve which is now opten to the public. 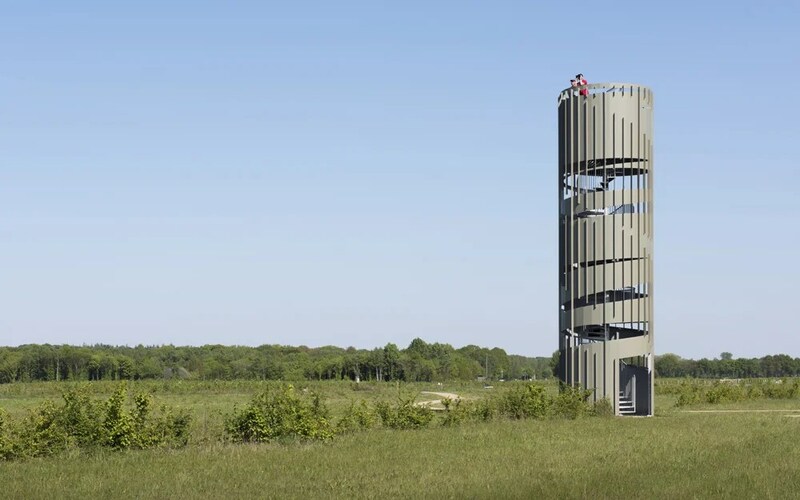 In 2016 NOHNIK architecture and landscapes won the commission to design a viewing tower, located in the southern part of the former military base. 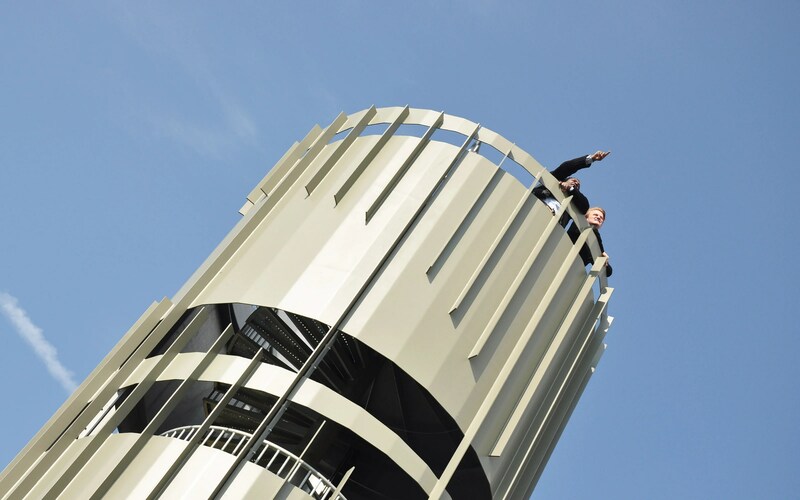 The design of the viewing tower is based on the extraordinary history of the former military airbase. The location of the new tower is the same location where the old terminal building and control tower were located. 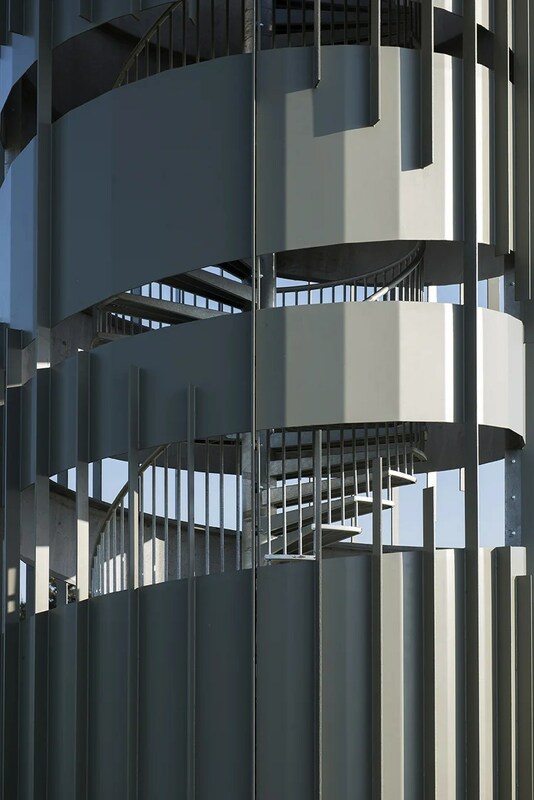 The new tower itself is designed as a serpentine-like cylinder in which the open parts are related to the different (eye)heights of characteristic objects in the area. As one goes up the stairs the eye-height of an F-16 pilot can be experienced as well as the height of several old bunkers, hangars and shelters. By this, the tower is not solely a route from A to B, but functions as a ‘narrative wayfinding’. 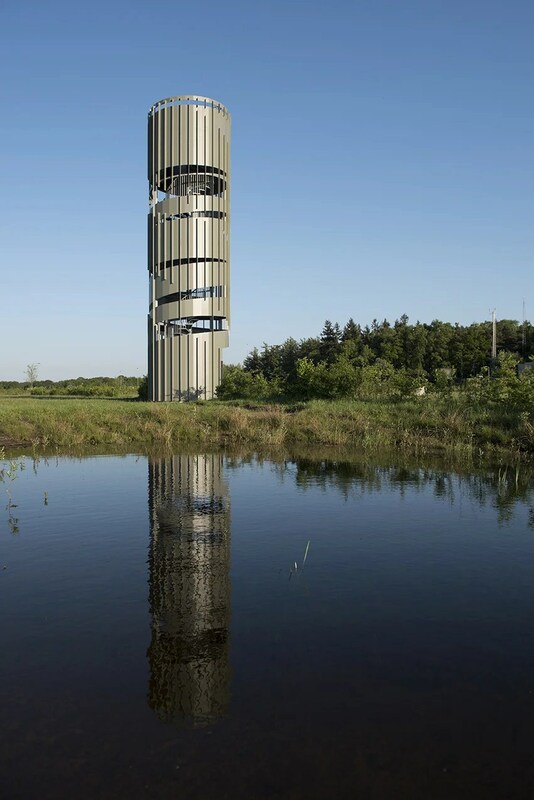 The tower is designed as an abstract object in the open field, in accordance with the existing military buildings. Next to working on the design of the viewing tower, NOHNIK worked on the development of the Technology Base on the northern part of the former airbase, which is to be transformed into a high-tech international research-, development and innovation campus.